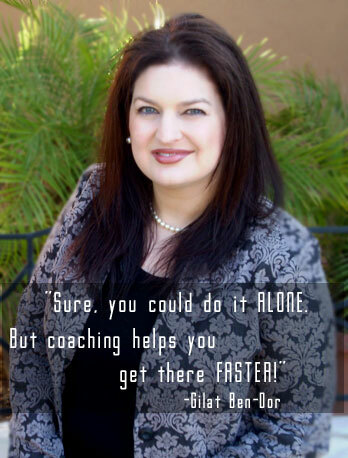 There are times where you may feel the need for one-on-one, dedicated coaching, personalized implementation strategies to reach your goals, and supportive accountability from the expert who understands your situation exactly. For some, there is simply no substitute for one-on-one coaching with the principal coach. We have arranged for a select few individuals to join the GUSTO POWER® Individual Platinum Program, Multiple Passions, Multiple Profits™, to work one-on-one with GUSTO POWER’s founder and principal coach, Gilat Ben-Dor. Due to the high demand for these custom slots, spaces cannot be guaranteed. If you are interested in this high-impact opportunity for personal and professional development, we recommend contacting GUSTO POWER® as soon as possible to check on availability, and claim your Platinum spot with Gilat. Please note that a 15-minute phone call (or a Skype conversation for international clients) is required prior to acceptance of new Platinum clients.